The body's way of responding to injury or an infection is inflammation--a general ramping up of the immune system. As part of this response, the liver produces a substance called C-reactive protein (CRP), which is released into the blood. High levels of CRP indicate acute general inflammation in the body. A blood test for CRP can help make an early diagnosis of infection after surgery, for example, and it can be used to monitor patients with inflammatory diseases like rheumatoid arthritis and systemic lupus erythematosus. Most recently it has been used to help assess a person's risk for heart disease. This important and useful protein was discovered at the Rockefeller Hospital, and over a period of 20 years scientists there studied its characteristics and brought it into clinical use. C-reactive protein was discovered in the laboratory of Oswald T. Avery (1877-1955), where both laboratory and clinical studies were under way to develop therapies for pneumococcal pneumonia. In 1930 William S. Tillett (1892-1974) and Thomas Francis, Jr. (1900-1969) found a new antigen of the bacteria pneumococcus. They called it Fraction C, and they decided to test its immunological reaction with serum from pneumonia patients. Tillett and Francis found that serum that had been taken from patients during the early, acute stage of infection yielded a strong precipitation reaction. But the reaction diminished, and eventually disappeared, as the patients recovered. Also, it was not specific to pneumococcal infection. Using Fraction C, they also precipitated a substance from the serum of patients with other diseases, such as bacterial endocarditis and acute rheumatic fever. 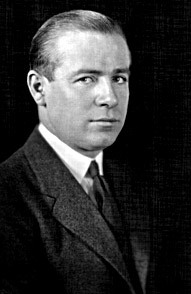 Several years later, Avery, Theodore J. Abernethy, and Colin MacLeod (1909-1972) established that the so-called C-reactive substance was a protein, and they described many of its properties. Maclyn McCarty (1911-2005), who had joined the laboratory in 1941, crystallized the protein in 1947. He soon moved to his own laboratory where he studied streptococcal infections and rheumatic fever. He and his coworkers began using a test for CRP to chart the course of disease in rheumatic fever patients. As a result of these studies the New York company Schieffelin and Co. began commercial manufacture of a CRP, introducing its widespread use. In the 1990s investigators at other institutions, recognizing that inflammation contributes to the development of atherosclerosis, applied CRP analysis to the assessment of cardiovascular risk. It is also possible that CRP itself contributes to the disorder. Drugs to reduce CRP are currently under development. Oswald T. Avery received the BA from Colgate University in 1900 and the MD from the College of Physicians and Surgeons in New York City in 1904. He joined the Rockefeller Institute in 1913, where he remained for the rest of his career. His studies of pneumococcal pneumonia led to the discovery that DNA is the material of heredity. Among many awards and honorary degrees, Avery was elected to the U.S. National Academy of Sciences and received the Lasker Award (1947). William S. Tillett graduated from the University of North Carolina in 1913, and received the MD from the Johns Hopkins University Medical School in 1917. He joined the Rockefeller Hospital in 1922. In 1930 he moved to Johns Hopkins University Medical School, and in 1937 to New York University, where he became professor and chairman of the department of medicine. Tillett, who discovered streptokinase, is best known for his research revealing the role enzymes play in blood-clotting. Among many awards and honors Tillett received the Lasker Award (1949) and was elected to the U.S. National Academy of Sciences. Thomas Francis, Jr. graduated from Allegheny College in 1921 and received the MD from Yale University in 1925. In 1928 he joined the Rockefeller Institute. Between 1935 and 1941 he served as professor of bacteriology and chair of the department at the New York University College of Medicine. In 1941 he joined the newly established School of Public Health at the University of Michigan, where he remained for the rest of his career. Francis is credited with being the first in the US to isolate the influenza virus, in 1935, and with developing the first killed-virus flu vaccine. He is also remembered for designing, supervising, and evaluating the 1950s field trials of the polio vaccine developed by his protege, Jonas Salk. Among many awards and honors, Francis received the U.S. Presidential Medal of Freedom (1946) and was elected to the U.S. National Academy of Sciences. In 2005, the University of Michigan established the Thomas Francis, Jr. Medal in Global Public Health. 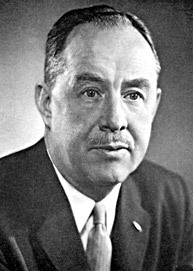 Colin MacLeod earned his MD from McGill University in 1934. The next year he joined Oswald Avery's laboratory at the Rockefeller Institute, where he was a member of the group that discovered that DNA is the molecule that transmits heredity. In 1941 MacLeod became chairman of the Department of Microbiology at the New York University School of Medicine. Among his scientific achievements there were field trials of an antipneumococcal vaccine. Aside from four years at the University of Pennsylvania (1956-1960), he remained at NYU. He was a member of the U.S. National Academy of Sciences. Maclyn McCarty graduated from Stanford University in 1933 and received the MD from The Johns Hopkins University Medical School in 1937. He joined the Rockefeller Institute in 1941. As a member of Avery's laboratory he contributed to the discovery that DNA carries hereditary information. In 1946 he became head of his own laboratory. There, for the rest of his career, he focused his research on group A streptococcus, the bacterium that causes rheumatic fever. The recipient of many awards and honors, McCarty was a member of the U.S. National Academy of Sciences and a charter member of the Institute of Medicine. He received an award for Special Achievement in Medical Science from the Lasker Foundation (1994).